This was posted on Vortex by Jed Rothwell and with his permission is posted below. I spoke with George Miley of the University of Illinois about his most recent tests with palladium zirconium alloys with gas loading. Here are some notes from the conversation and some related information about some of (Dr. Tadahiko) Mizuno’s experiments. A set of PowerPoint slides here shows his results up until recently. Download the slides here. See the slides starting at # 46. This does not show the most recent results, which are more dramatic. 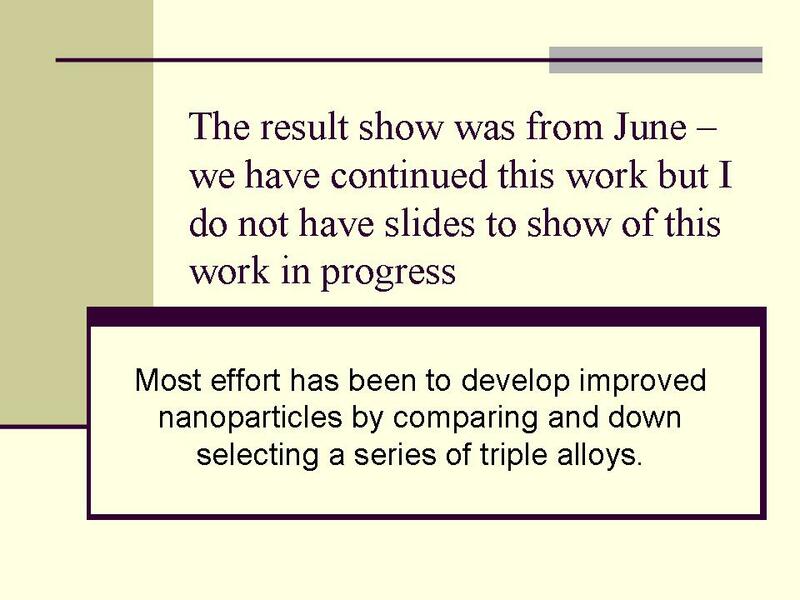 Slide 48 shows the overall pattern of the reaction. Note that for ordinary chemical reactions, loading is exothermic and deloading is endothermic. That is not what you see here. In some cases the initial chemical exothermic reaction is followed by a second reaction raising the temperature still higher. This is the anomalous cold fusion reaction. These slides do not show it lasting for long. This is similar to (Dr. Akira) Kitamura’s results. The slides show early runs. Recently they made a batch of material that works dramatically better. However, they only made one batch so far and they have run samples from it four times. They will need to make more batches to confirm that they can reproduce this improved performance. Miley is “optimistic but cautious” that the next batch will work as well as this one did. In the four runs they have achieved fairly stable output ranging from ~75 to ~200 W. The runs last around six hours. As shown in slide 48, the sample first self-heats from the chemical reaction. Because the sample is well insulated this heat is enough to trigger the anomalous reaction — when the anomalous reaction occurs. You do not usually need external heating although the cell is equipped with a heater (slide 47). They are also making ZrO2Ni, to be loaded with hydrogen. I do not think they have done this yet. We did not talk about that much. Although deloading is chemically endothermic, in some cases they have seen the heat increased during deloading. This is presumably anomalous heat. Rossi showed a similar effect during the October 6 demonstration. Miles says this is probably caused by flux, that is, deuterons moving through the lattice. It does not matter which direction they are moving. McKubre listed flux as one of the key factors in his “ad hoc” equation. 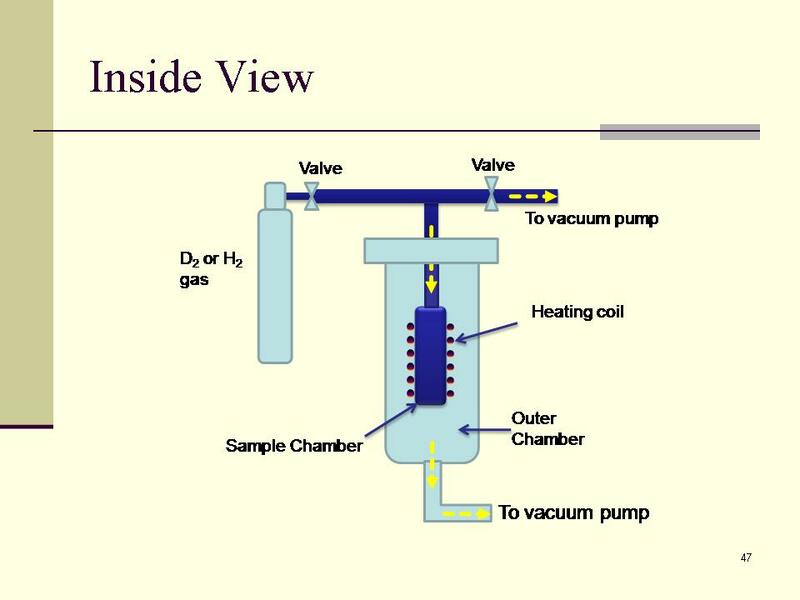 A schematic of the calorimeter is shown in slide number 47. This is a gas calorimeter, similar to the one Mizuno used in his studies with proton conductors. I have a lot of data from that and I am pretty familiar with the characteristics so I will discuss it below. The temperature is measured at the sample I believe, or anyway, in the sample chamber. When there is heat (chemical or anomalous) you see a temperature difference between the sample chamber and the outer chamber. In Miley’s case, the temperature difference ranges from 100°C to 200°C. Miley described this calorimeter as very complicated and nonlinear. It is difficult to model. The problem is that the ratio of output power to the temperature at the core of the sample chamber will vary depending upon the type of gas you fill the sample chamber with, and the gas pressure. Based on Mizuno’s data, I agree this is very complicated but on the other hand it is also probably reliable, stable and repeatable. Mizuno tested hydrogen, deuterium, helium, air, and a vacuum. He tested the gases over a range of pressures. He found that when you use the same kind of gas at the same pressure, a given power level always produces the same temperature difference between the inside and the outside. So, when anomalous power produces a certain temperature you can find that point on the output curve and you can say with confidence that it is producing that much power. Because of this complexity, Miley et al. do not know with accuracy how much power the sample is producing. On the other hand they can be sure it is producing heat because the sample chamber is much hotter than the outer chamber. We know the energy is anomalous, because it produces a much larger temperature difference than the chemical effect, and it lasts much longer: 21600 s compared to 150 s. The anomalous power continues when the heating coil is turned off, so there is no possibility that they are mistaking conventional electric heating with anomalous heating. In other words, they can be sure there is anomalous heat but they cannot say with assurance what the magnitude of it is. I think they would have to do more calibration with a joule heater to establish exactly what the power level is. The heating coil around the outside of the sample chamber would not be suitable for this. You need to put heater right where the sample is located, in the center of the sample chamber. This is what Mizuno did. Ambient air is outside the outer chamber. Changes in this air temperature will not have much effect on the calorimetry because the inner temperature differences are so much higher than ambient fluctuations. Mizuno’s data shows no measurable effect from ambient changes even though he was in a poorly heated laboratory in Hokkaido, with large gaps in the walls and windows. They are using one calorimeter. They are doing the experiments every few weeks. They would like to expand the effort to have someone work full-time on it. Miley would like to have 4 calorimeters instead of 1, so they can test more samples in parallel. I suggested they use at least one Seebeck calorimeter. This would sweep aside all of the complexities of gas calorimetry, since it measures the heat outside the walls of the gas cell. The cell should fit into a Seebeck calorimeter because it is about 2 inches long. Miley outlined a development path for this in slide number 52. The power density and temperatures are roughly comparable with Rossi. Tests with nickel might produce the same light water effect that Rossi has observed. This is a state university so the results would be made public. Miley and his students are conventional academic scientists, not businessmen. They have no imperative to keep their results secret. On the contrary they would publish as quickly as they can to establish priority. Miley’s researchers are young. See slide 46. This kind of research should be done by young people. Frankly, I would rather have one young person than 5 elderly scientists. The material supplied by Ames Laboratory can be documented in great detail, and probably reproduced. The additional processing performed by Miley et al. can also be documented in detail. Unlike Rossi, Miley et al. are willing to reveal all details of their work and to share materials with other qualified researchers, so this material can be independently tested by other laboratories. This is not to criticize Rossi for being secretive. The imperatives of research at a public university are different from those in a private corporation. Rossi does have one large advantage over Miley et al. He is working on a gigantic scale. This impresses many people. It does not impress me…I find a test at 100 W as convincing as a test at 1 MW. 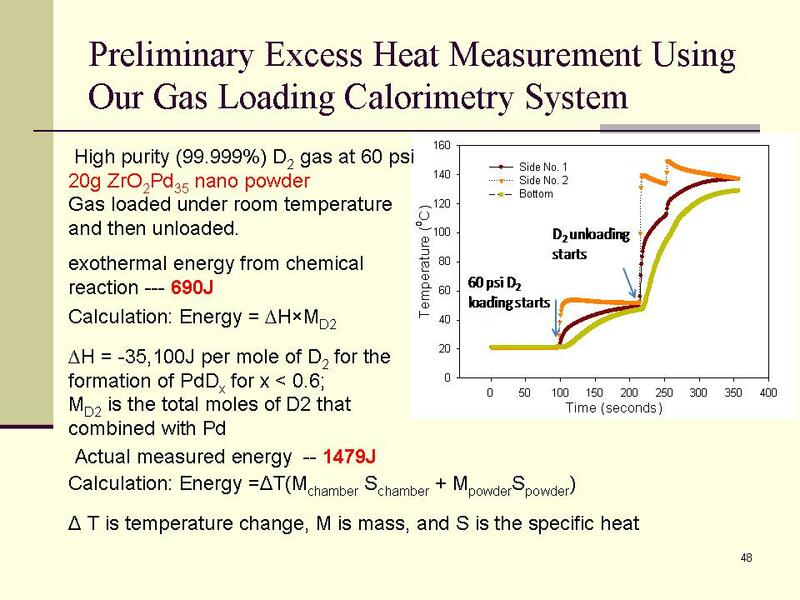 As long as the temperatures and power density are comparable, and the reaction is stable, I don’t see any advantage to scaling up above 100 W. It just makes the calorimetry more complicated, and it makes the experiment dangerous. However, members of the public and mass media reporters will probably be more impressed by the larger scale of Rossi’s tests. I suppose that from a public relations point of view it would be a good idea to scale up. If Miley et al. had funding perhaps they could make a cell that generates kilowatt level heat. I regard this as more of a public relations stunt than a scientifically useful thing to do, but sometimes a stunt is called for. This entry was posted in Articles, Science and tagged Ames National Laboratory, Andrea Rossi, anomolous heat, Bose-Eistein condensate, cold fusion/LENR nano-powders, cold fusion/LENR research, Dr. Akira Kitamura, Dr. George Miley, Dr. Tadahiko Mizuno, e-Cat, George Miley slides, nano-particles, nano-powder, University of Illinois cold fusion/LENR. Bookmark the permalink. Please have a look at e-Cat Site the article: Belgian LANR Patents containing English translations of BE1002780 and BE1002781 relating to LANR in gas phase. Was wondering if nickel hydride could be used in a lenr reactor. Realize that there would not be the control over the reactor like with gaseous hydrogen. Noticed that NIMH dry cell batteries contain nickel hydride. I am amazed at the confluence of “fashionable acceptance of radically new ideas” mixed with good old fashioned intolerance, and even blatant discrimination, all given in one breath in Mr. Rothwell’s effluences! I am referring of course to that vitriolic , completely irrelevant, inapropos and comically curious comment: “I would rather have one young person than 5 elderly scientists” ! Has the perspicacious Mr. Rothwell not noticed that Mssrs. Fleischmann, Pons, Piantelli, Focardi, Rossi, Miley, Ahern, Arata and on and on are not exactly spring chickens? Dare I hope their contributions to the unraveling of the LENR riddle will not be disregarded in favour of say, Mr. Rothwell’s? If comments such as this are to be taken as a measure of the astuteness that we can expect from Mr. Rothwell (and civility) then perhaps it is best we hear no more. Your input is appreciated P. Montpetit. I only wish that all objections to the material posted here could be so eloquently stated. Pingback: Niche Modeling » Cold Fusion, in Walmart Soon. Pingback: Al Fin Energy: Did Andrea Rossi Jump the Gun with His 1 MW E-Cat LENR? @ Ben, between 1930s and 1989? Back then not called LENR of course. Instead the subject was transmutation. Big giggle factor because skeptics think of medieval age alchemy. (Also has basis in fact, but we won’t go there!). Start with Transmutations Biologique by C. Louis Kervan, copyright 1962.. Subsequently confirmed by many researchers. A recent confirmation was published in EPRI Proceedings of 4th Int. Conf. on Cold Fusion, vol. 4, section 44-1, titled ” An Approach To the Probable Mechanism of Non-Radioactive Biological Cold Fusion or “Kervan Effect”. Then we can look at experiments at the Westinghouse Lamp Company originally in 1927, then later confirmed 1940s. A recent analysis of the transmutation procedure was in Fulcrum May 1997 issue, (The Science Journal of The University Of Science And Philosophy),Vol. 5, No.1, by Ronald Kovac. At that time he was President of Mountain States Mining and Smelting, Boulder , CO.
His team duplicated the original work, again, and improved on it by transmuting most elements. I contacted him a few years ago about the work and he confirmed the reports were accurate. You may have read the patent “Hydrogen Energy Releasing Catalyst” filed by Dr. Szilard Berenyi 1985. It was granted USP 4668247 May 26, 1987. There was an article about it titled “Nuclear Augmented Combustion” using chemical energy to release what appeared to be nuclear energy, in the Infinite Energy magazine issue 18, 1998. George Ohsawa and team in the 60s did experiments with whole nucleus fusions, for example sodium and oxygen to form potassium. Even most LENR scientists today are not ready to go there. They are still trying to wrap their minds around hydrogen in a solid metallic lattice. Yet the original Ohsawa experiments in 1964 were also confirmed by testing laboratories in France and Japan. I did not find original research report copies on the internet, but if you go to the Lenr-Canr library the experiments have been duplicated and reported in some of the cold fusion articles and books. There is much more like this that has happened in the past 100 years, and was documented. Calorimetry was seldom done on the old experiments. Instead they looked for nuclear reaction products. When they found new elements the question always was how did that happen? LENR scientists today are still asking that question. I will be updating the “A Brief History” section with all of this information in short order. @ALFin – Although I wish Rossi the best, in my opinion he would be better off concentrating on marketing his nickel nano-powder. Replicating the design of the e-Cat will not be overly difficult; however, manufacture of the powder will prove to be much more problematic. Even Dr. Miley states concerns about the quality of his next batch of material. This has been a constant problem in cold fusion research. There are many people attempting replication and they will be chasing their tails unless they figure out to make the nano powder or whatever medium they chose to use. Material preparation is key in cold fusion. @Mockan – If you can find further documentation of research between the 1930s and 1989, feel free to post here or e-mail it to me. I have had a difficult time finding documentation of research between those years. I do have some info posted in the “A Brief History” section about Friedrich Paneth, Kurt Peters and Tandberg. Then up to 1989 I have found very little. I know Patterson reported doing work as far back as 1949 but that is all I have between the 1930s and 1989. Thanks again to Jed Rothwell for writing this report up and keeping us up-to-date. Excellent articles by Jed. Thank you for pointing those out. The parallels between the development of transistors and materials for cold fusion is remarkable. Please see the new article about Brain Ahern’s upcoming cold fusion/LENR announcements. It appears as if some of the materials issues will be addressed. Whether what Ahern has in terms of nano-material is on the level of what Rossi is able to produce remains to be seen, but it appears that Ahern is willing to make much of his work public knowledge, as is Dr. Miley. It might end being the cold fusion version of Beta versus VHS or MAC versus PC. Slam dunkin like Shauqlile O’Neal, if he wrote informative articles. Very nice article and comments. This information about Miley’s work reinforces my impression that the technology is far more quirky than Rossi has admitted. It is not likely, in my opinion, that Rossi’s technology is stable or reliable enough for commercialisation yet. 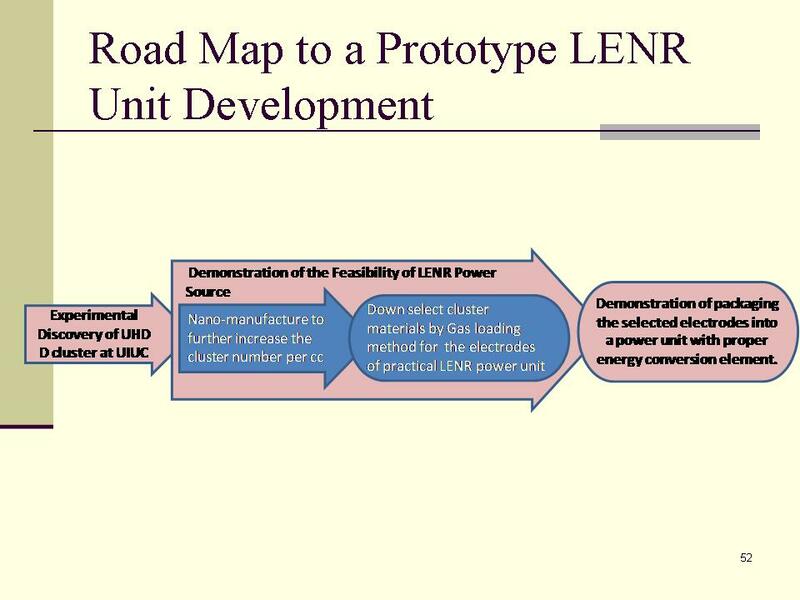 If the science can be clearly developed and explained, an orderly path to large scale implementation of a reliable LENR technology should be within reach soon thereafter. Miley not only duplicated the Patterson Cell, fabricated more effective nuclear active materials for it, but was his analysis of transmutation products that convinced (every body but the pathological skeptics) the thermal energy was nuclear in nature. About the problems researchers in this field have faced? The Patterson Power Cell was planned for use as a hot water heater (like the E-Cat). But after the CEO of the company died, and faced with regulatory issues, then when Dr. Patterson passed away, that marketing plan was stopped. Another reactor that was available was the LENT-1. I had an email communication with Gleeson, the inventor, to order one of the units for experiments. They had planned to sell units for about $3500 each to raise money for continued development, and give researchers a means to experiment with radiation remediation of waste products of conventional nuclear reactors (the LENT-1 can render radioactive waste products harmless by transmuting them into harmless elements). When Gleeson died and his research team dispersed that marketing effort was stopped. The Case catalytic cell used palladium dispersed on activated carbon that demonstrated thermal energy generation. 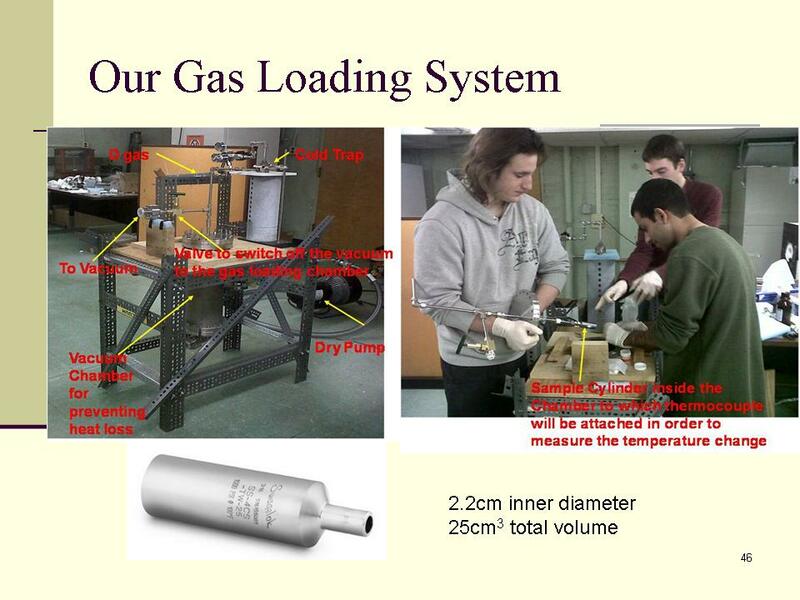 It was a container pressurized with heavy hydrogen containing the catalyst. Case had planned to market the units as hot water heaters. Testing of the Case reactor was also done at the Eugene Mallove laboratory.. I obtained 10 grams of the catalyst used in the Case cell for experimentation direct from the manufacturer. When Case died his efforts died with him. When Mallove died the possibility of any further work on developing the process ceased at the Mallove laboratory. Paul Brown also experimented with radioactive remediation using a photofission process. Less well known is a device that could be used to generate power directly from “cold fusion” reactions, by inserting an operational reactor into an inductance coil of a tuned RF generator. Sounds familiar doesn’t it? His company still exists but no longer has plans to market related products. When Brown died his efforts died with him. I could go on a log more, but readers may be getting the idea by now. There is one operational event that keeps happening in this field that seems to prevent development. And it has nothing to do with skepticism about the reality of “cold fusion”, or LENR processes. The operational event is summed up in one word…died. As in the researchers and entrepreneurs who were the driving force for marketing products based on the technology all…died. How far back in history do you want to go? The Patterson Power Cell was demonstrated with over 1000 watts output using a few watts input to activate it over last century. I’ve read documentation that thermal energy from alleged nuclear reactions was being observed as long ago as the 1930s. Some of that earlier work was even cited in the publications by the scientists who are credited with the discovery of “cold fusion”. They went public in 1989, but that was after years of work they did, testing and re-testing their cold fusion cells to confirm they really were generating thermal energy. (They are both still alive, but one is retired, the other working as a teacher at some college). So now we have Andrea Rossi. Advice I would give him? Watch your back, Mr. Rossi. I have no doubt you will be the target of industrial espionage, industrial sabotage, legal entanglements, and “accidents”. You can bet that any media commentary now that seems positive about the E-Cat will be withdrawn as soon as the people who do not want to see you succeed decide it is time to issue the instructions to the controlled media to begin demonizing you as a fraud. Given the latest updates from Dr. Miley, things are becoming a little clearer about his work. He worked with James Patterson in the mid-90s and was impressed enough by his work to attempt to replicate it. However, over many years he was able to replicate only SOME of Patrerson’s results in terms of excess heat production…until now. But the methods he is now using to achieve results similar to Patterson’s more closely resemble Rossi than they do the original Power Cell, i.e. the use of nano powder and gas-loading. These methods were used and developed by Japenese researchers Dr. Tadahiko Mizuno, Dr. Akira Kitamura and, most importantly, Yoshiaki Arata. I think that is the gist of it anyway. As an aside, If I remember correctly, the Defense Intelligence Agency report on cold fusion/LENR from 2009 mentioned the Japanese and Italian researchers as being leaders in the field. More details are expected from Dr. Miley shortly, in the next week or two and perhaps sooner. In my opinion, this research by Miley et al. is best for independently demonstrating that Rossi is legitimate. The main goal ought to be getting consensus reality past the “too good to be true” and “it is against the laws of physics” stage, so corporations will spend their tremendous resources on R&D integrating it into products for commercialization. Thank you Prof. Miley, you are a catalyst toward speeding us toward LENR integration in our economy. I mean, how can you with intellectual honesty say that Miley is getting these kinds of results with a LENR exothermic reaction, but Rossi is a fraud? Do you know what mind-blowing is? I asked yesterday Prof. Miley by Email about his possible newest updates to his research regarding Rossi/Patterson.